%(color-red)%The color wheel mode allows you to change the colors of your Patterns. It has 3 Options (Single Color Wheel, All 9 Color Wheels or Rainbow Color Wheel). The ZLHoop has 104 Color Wheels available for loading into 9 active slots. 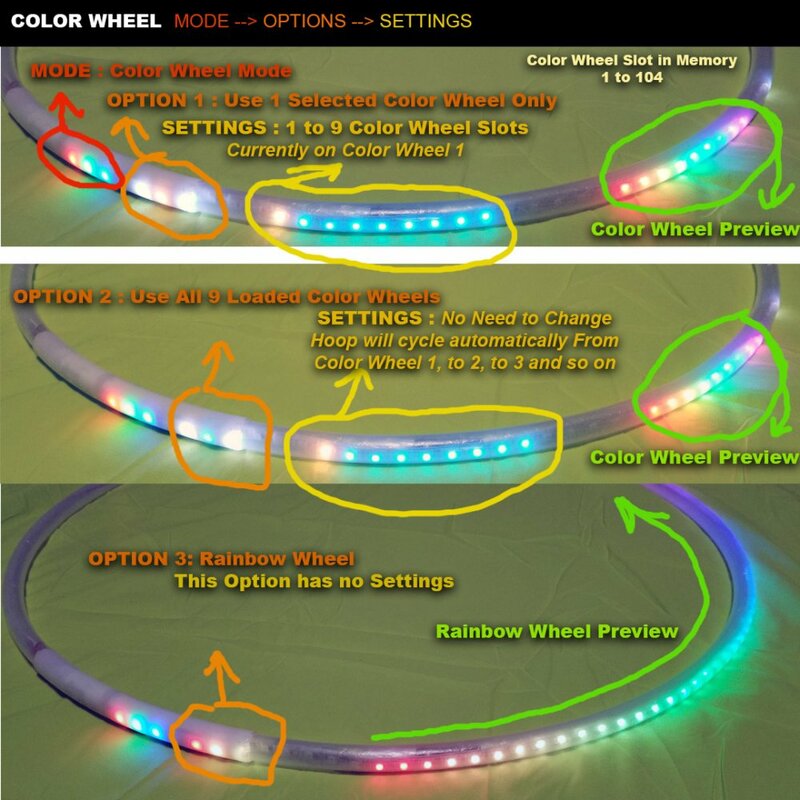 9 color wheels can be used at the same time by switching to option 2. To enter the color wheel mode make sure you are in Standby Mode (Press OK) this will always return to Standby Mode. Click on the (color wheel) button 1 time to enter the mode. To choose from the 3 options use the color wheel button again.